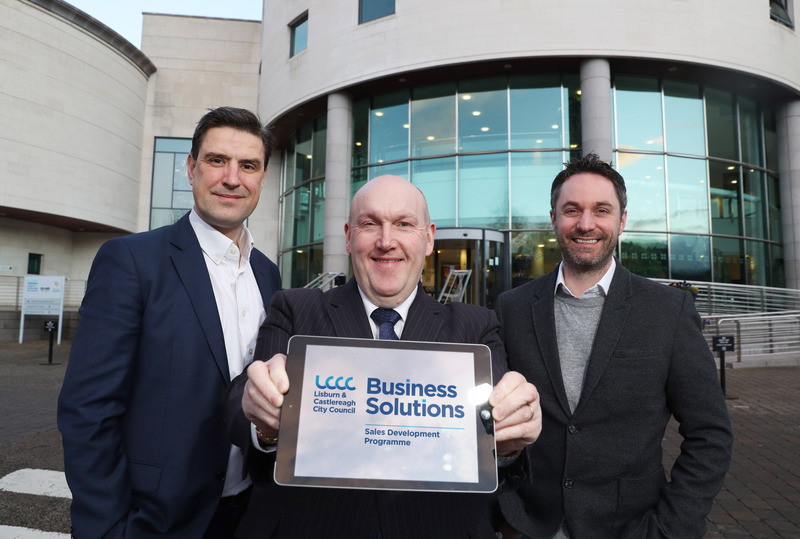 Ten local companies have successfully completed Lisburn & Castlereagh City Council’s (LCCC) Sales Development Programme. The Council is committed to supporting the growth aspirations of small to medium sized enterprises in the Lisburn Castlereagh area and the Sales Development programme is no different. New sales are the lifeblood of any business and this programme is all about providing participants with both the skills and confidence to target new sales opportunities during and after the programme. The companies that took part were from a range of sectors including Professional Services, Renewable Energy, Retail and Tourism. Alderman Leathem, Chairman of the Council’s Development Committee, speaking about the programme, said: “The council is committed to delivering a variety of programmes to offer valuable support to local companies of all sizes. This sales programme was designed to assist local businesses with selling more, generating sales quicker and making more profit. Other reasons given by the participants for registering on the programme included: developing the company’s product portfolio, streamlining the business and growing their brand. Other successes for the participants of this programme include a rebranding exercise to focus on product strengths, creation of job opportunities, new markets identified that would be applicable to their business and predicted turnover growth.